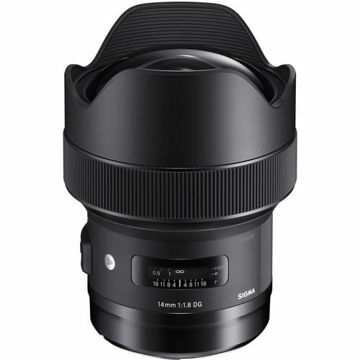 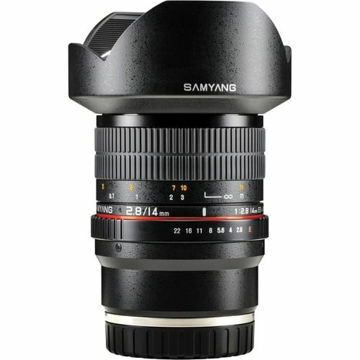 The 14mm Ultra Wide-Angle f/2.8 IF ED UMC Lens for Nikon with Focus Confirm Chip from Samyanggives you approximately a 115° view with dramatic results when used with a full-frame digital camera or 35mm film camera. 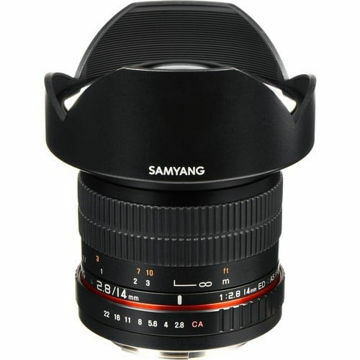 It includes a special chip that allows the lens to work with the camera's focus confirm, auto exposure, auto metering and auto white balance functions. 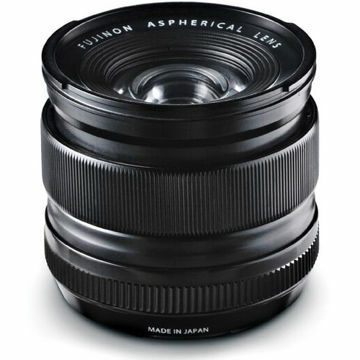 With hybrid aspherical lenses, you will produce sharply defined images with a minimum of distortion and chromatic aberrations. 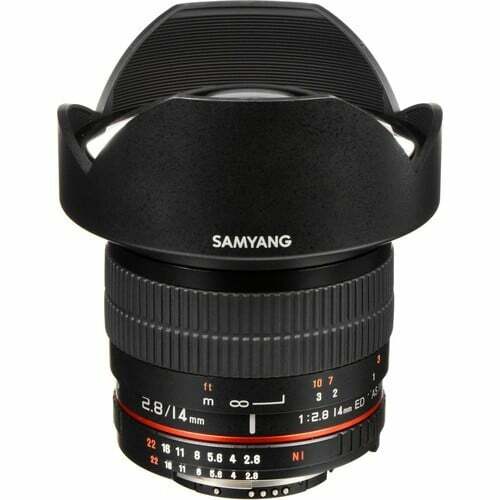 This manual focus 14mm lens focuses as close as 0.9' (28cm) from the lens, and has a built-in petal-type lens hood.